Judge Approves $97 Million Settlement To Replace Flint's Water Lines : The Two-Way Residents of the Michigan city have been struggling with the lead crisis for the past three years. "This is the first little battle won in this huge overall war," plaintiff Melissa Mays tells NPR. A settlement agreement allocates tens of millions to replace Flint's damaged water service lines. In a victory for Flint residents, the state of Michigan has agreed to spend up to $97 million for new water lines in the city of Flint, which has been struggling with a crisis over lead in its water for the past three years. A federal judge at the U.S. District Court for Michigan's eastern district approved the agreement Tuesday. Within three years, authorities must examine water service lines for at least 18,000 households and replace those made of lead and galvanized steel. The state is required to allocate $87 million for the pipe replacement, according to the terms of the deal. The money will come from both state and federal funds. The state will also reserve an additional $10 million in case the job requires it. "This is the first little battle won in this huge overall war," plaintiff and Flint resident Melissa Mays told All Things Considered. "For the first time, we've been able to have a federal court enforce the state to do the right thing, which is to replace the pipes that their agencies and their administration broke. And now people can start to see progress." The water problem began when Flint switched to a new water source in 2014 in order to save money, but failed to implement corrosion controls. This damaged the pipes and caused lead to leach into the city's water system. "More than 700 water lines already have been replaced and work is ongoing, but the agreement would rid Flint's roughly 100,000 residents of uncertainty over how to pay for the enormous task," The Associated Press reported. But the wire service added that for some residents, three years waiting for replacement pipes sounds like a long time. "When I see someone on TV just turn on the water and wash their hands — I haven't been able to do that for years," Renata Richard told AP. Recent tests showed lead levels in the water to be within federal limits, though residents are still advised to use filters. Many still don't trust water coming from the tap and prefer to drink bottled water. 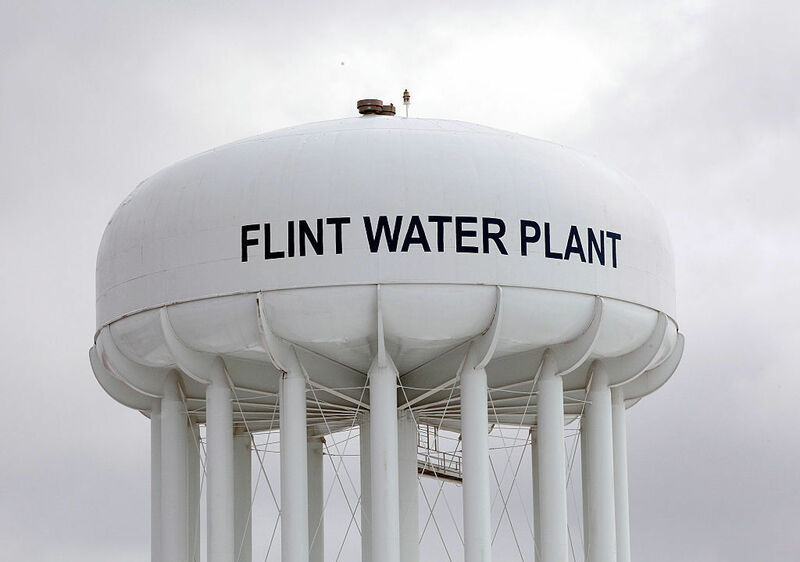 "The residents who filed this lawsuit had also wanted bottled water delivered to every Flint home without a working water filter," Michigan Radio's Kate Wells told our Newscast unit. "Instead, the state's now promising to go door to door, to make sure everybody's got a filter and knows how to work it." Mays and three groups — Concerned Pastors for Social Action, the Natural Resources Defense Council and the American Civil Liberties Union of Michigan — filed the lawsuit in January 2016. The court appointed a mediator in December to draft an agreement with city and state officials. Dimple Chaudhary, the NRDC's lead counsel in the lawsuit, hailed the deal in a statement: "For the first time, there will be an enforceable commitment to get the lead pipes out of the ground." The agreement includes state monitoring of homes where it has replaced service lines. The deal also requires the state to continue to operate nine bottled water and filter distribution centers until at least May 1 and outlines procedures for closing them based on demand. Depending on water quality, all nine may be closed by Sept. 1. The state will continue to deliver water to homebound residents for the next few months, Wells added. Michigan has also agreed to keep funding above federal levels for health programs, particularly those applicable to pregnant women and children affected by the high lead levels. The settlement extends the funding for some of these programs until March 2021; for others, the funding stops in September 2018. "Does this settlement agreement solve every problem Flint faces as a result of the water crisis? No, it doesn't, we will still have lots to do to rebuild our city," Allen Overton of Concerned Pastors for Social Action said in a conference call with reporters. "Does this agreement leave the community better off than it was before? Yes, it does." Michigan Radio's Wells noted this is one of several major lawsuits over Flint's tainted water.